Word had spread among the barbecue cognoscenti, thanks to an article in Atlanta magazine, that P’Cheen had some of the best barbecue in town. But the kicker was, it was only available on Monday nights. So one Monday evening, after the girls went back to college, Jo and I headed downtown. 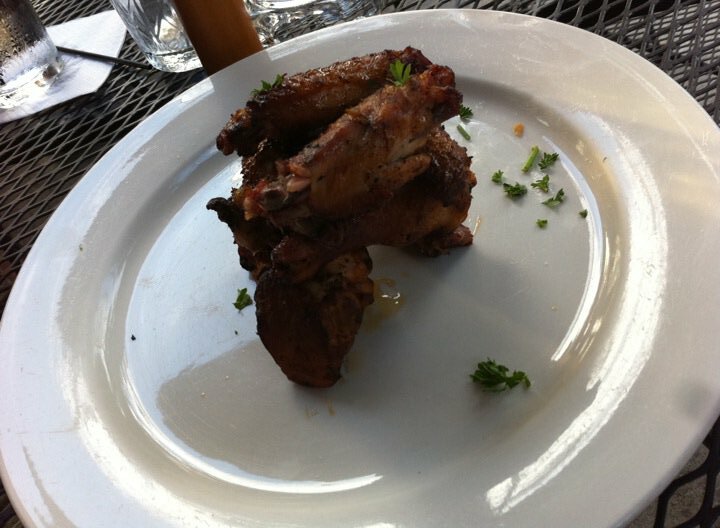 Checking with the server, she suggested we start with the barbecue wings. If no one ever played with their food, who would come up with a plate that looked like this? Barbecue*, barbecued beef and baby back beef ribs. They do a nice job of it – nothing spectacular, nothing awful. * Just for clarification sake: Whenever “barbecue” is used as a noun, I am implying pork. 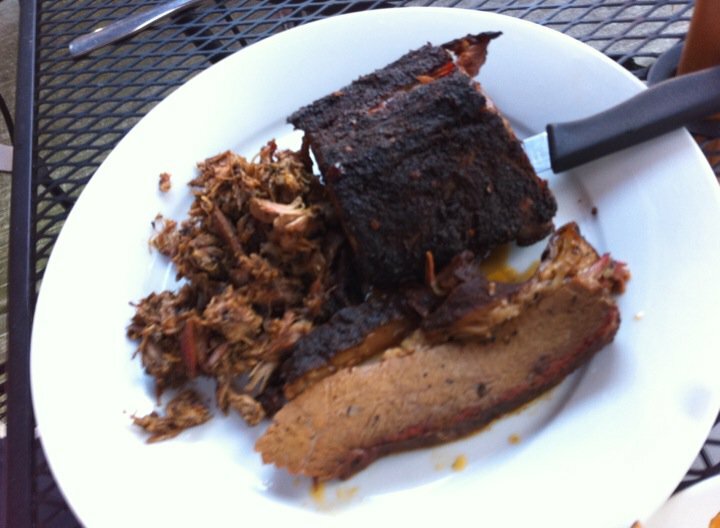 It is by definition the stuff of which great barbecue is made. You can barbecue beef. You can barbecue chicken. But “barbecue” is pork.